Cloud computing perform amazing things for startups, providing young companies with access to enterprise grade infrastructure . But also act as a double edge sword. Lack of proper security controls can lead to multiple challenges varying from longer sales cycles to losing customers & investors trust. The Cloud Security Alliance identified those unique challenges and developed a cloud security for startups guidelines. 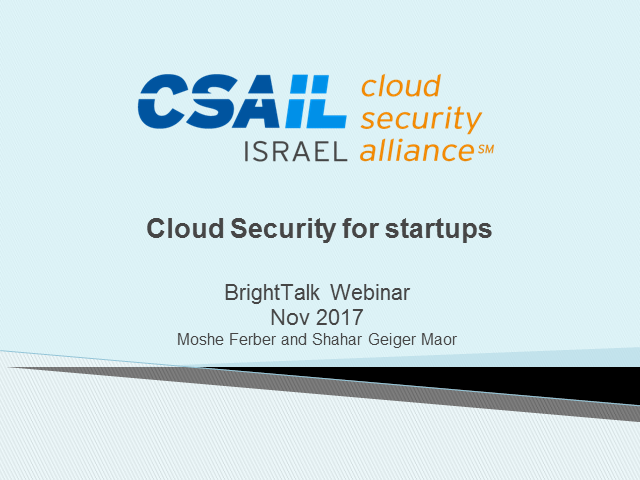 In the upcoming webinar, the guidelines co-authors will explain the 3 phases security strategy that is recommended for your cloud based startups.